PHOTO SUBMITTED Seneca East student Lily Pifher said this cake was her favorite since she began decorating cakes about three years ago. Thirteen youths displayed skills and abilities during the demonstration contest at the Seneca County Fair Friday afternoon. Del Ray Fox, a judge for the event, said the contest is judged on the Ohio State Fair’s public speaking and demonstration contest rules. He said he enjoys the event and competed in it when he was in 4-H. Demonstrations included setting up a sewing machine, creating a healthy parfait, discussing hog breeds, offering survival hacks and making butter. Seneca East student Lily Pifher, 11, of the Roots and Wings 4-H Club, demonstrated how to decorate cakes with a star tip. Pifher said she has been decorating desserts for about three years and this was her third year competing in the public speaking and demonstration event. She said her cousin, Sue Steinmetz, decorates cakes, so she decided to try it. Pifher said she keeps decorating because it is fun. “I probably (decorate) about four to five times every month. I just do it for the fun of it,” she said, adding that neighbors and friends frequently ask her to decorate birthday cakes and other treats. Pifher said she watches shows on TV, such as “Cupcake Wars,” that show the talents and creativity of other decorators. She said she gets ideas and inspiration from the shows. “I always watch it and then I want to go do what I watched,” she said. 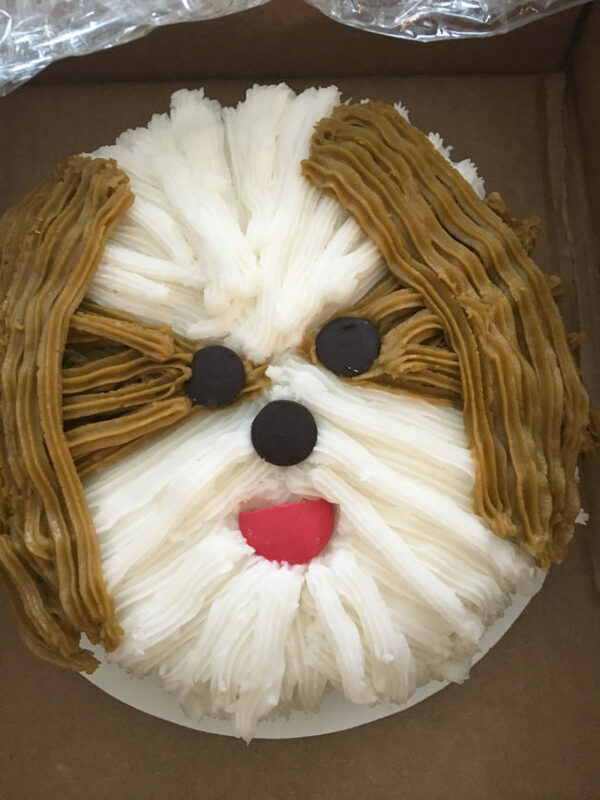 Pifher’s favorite project was decorating a cake to look like a dog. She said she doesn’t plan to stop decorating any time soon and believes she might be able to make a career out of the hobby some day.